No, we’re not talking about 4G phones, nor God, gold, guns and grub. Today let’s look at GE, Greece, and finish with a very interesting Germany and Gazprom. Last week GE shocked the market place by announcing they will sell their crown jewel GE Capital. Why would they do this? Isn’t GE capital their growth engine? Isn’t it their cash cow? What could they possibly be thinking? In my opinion they are “thinking” correctly, maybe a bit too late though. The plan is to offload the finance division and pay a very large cash dividend to shareholders. In my opinion they are calling “top” to the entire paper bubble now enveloping the world. Maybe some sanity circulated the halls of their Fairfield Ct. home office and they decided the stone has no more blood to be squeezed? Think about the macro situation, can interest rates go any lower from here? What will happen to their “book” when interest rates start to rise? What about their derivatives book? I believe it is possible someone looked at this and figured out either they will be defaulted on or they themselves cannot perform somewhere? In any case, the decision to “sell” was made. There are generally very few reasons to sell, far fewer than there are when deciding to buy something. Sometimes the decision to sell is “forced” by a margin call or other situations where there is no choice. For the most part, when a decision is made to sell something it is to profit or redeploy the capital elsewhere. In this case the decision is to pay a large dividend and reinvest part back into their other businesses. This will be looked at in retrospect as the final top to the market, I just wonder whether or not they will get to employ this strategy before the market falls apart and spoiling their plans? We will see. We’ve spoken so much about Greece lately, I don’t want to be long winded here. Greece made their 460 million euro payment last week and were promptly “re” funded 1.3 billion euros via previously pledged funds fro ELA. The important thing this past week in my mind was the change of “tone”. Mr. Varoufakis spoke of next month being “different” and Mr. Tsipras seemed to speak more boldly. One must wonder what exactly was discussed behind the closed doors with Mr. Putin? What did Russia offer if anything? You can bet a pipeline deal was discussed, I would also bet that Greece’s “vote” was discussed. The sanctions which Russia now operates under are set to expire in June. They cannot be extended with Greece voting to make it unanimous. Will Greece leave or even be kicked out of the Eurozone? The other interesting points were the strength of tone used regarding WWII reparations from Germany and the “status” of debt incurred since 2012 which they now term “odious”. Little Greece is becoming more than a thorn in the side of the West. The main topic for today is Germany and Russian energy giant Gazprom. Germany has apparently just ordered 100 Leopard 2 tanks “to ensure their troops are ready for action in response to Russian assertiveness”. I have to wonder whether the addition of 100 tanks (a giant leap of a 45% increase) is really worth it considering the “signal” it sends. Germany gets roughly 30% of their natural gas from Russia, do they really want to flex more muscle with such a large supplier of theirs? I also wonder what the industrialists are thinking should this sour relations? Coincidentally, Russian energy giant Gazprom announced they will sell their 10.52% minority stake in German gas supplier Verbundntz gas (VNG). Gazprom’s position when aligned with a 15.7% stake held by Wintershall served as a blocking position. With the stake’s power diminished, Gazprom has decided to sell. The decision was also made last year to discontinue plans for the South Stream gas pipeline in favor of a route through Turkey …and thus ultimately Greece. Please understand the significance of this chess strategy. Turkey is a member of NATO, Greece is a member of the European Union. Doing business with either (or both) puts a potential wedge in NATO’s unison and a “veto power” in the EU when it comes to renewing sanctions. Has Mr. Putin and Russia put themselves in this position purposely or is it just business? In my opinion Russia is simply taking the path of least resistance here which also has the “benefits” attached that come with both Turkey and Greece. The real head scratcher in all of this is Germany. If you recall, they have been repatriating their gold from the New York Fed’s custody over the last two+ years. It was said they had “total trust” in the Fed but no longer had a need to store the gold outside of their country …and the reaches of the big bad Russians. Now they order more tanks because of the Russian perceived threat. Will they continue to repatriate gold or will they stop and use the Russian threat as their reasoning? Another area where Germany is in a sticky spot is with Greece. Will they continue to push austerity (which is actually senseless because Greece already owes too much)? 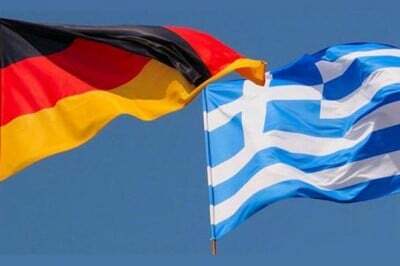 How will Germany handle Greece’s demands for WWII reparation? Will they push for a Greek exit from the EU? And of course one must wonder about the pipeline that will most likely go from Turkey towards Germany and Eastern Europe, now they have to wonder about the continuation of Russia selling them the gas and then the transmission through Greece. Germany now has pressure from so many different directions you almost have to feel sorry for them. If I had to guess, it would not be surprising to see Germany pivot away from the U.S. and toward Russia and the Chinese. This would only make sense as historically Germany and Russia have been very big trading partners and live in the same neighborhood to boot. We may see a hint of what is to come as we approach June, remember, the current sanctions on Russia will run out and need to be renewed to continue. Who does what and when, will be very interesting indeed!